‘You should make your partner feel loved every day’, I hear some of you saying. Whatever your feelings towards Valentine's Day, let’s be realistic, as much as we’d like to, life often gets in the way. So, what is the real harm in having one day that will encourage you to make that extra bit of effort for your loved one? We’ve got your Valentine’s Day covered, from where to go and that wow-factor gift. You’ll thank us for this one! 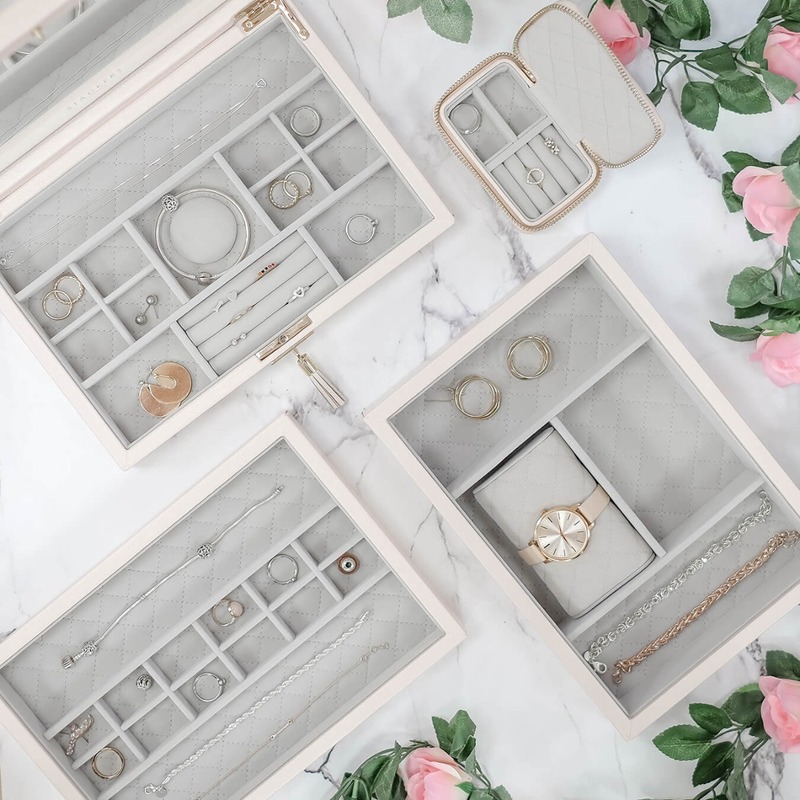 The sweet petite travel jewellery box is a guaranteed way to please your loved one. Even better if you’re planning on whisking them away for a romantic Valentine’s weekend! For added brownie points, why not go one step further and make your gift extra special by getting it personalised! 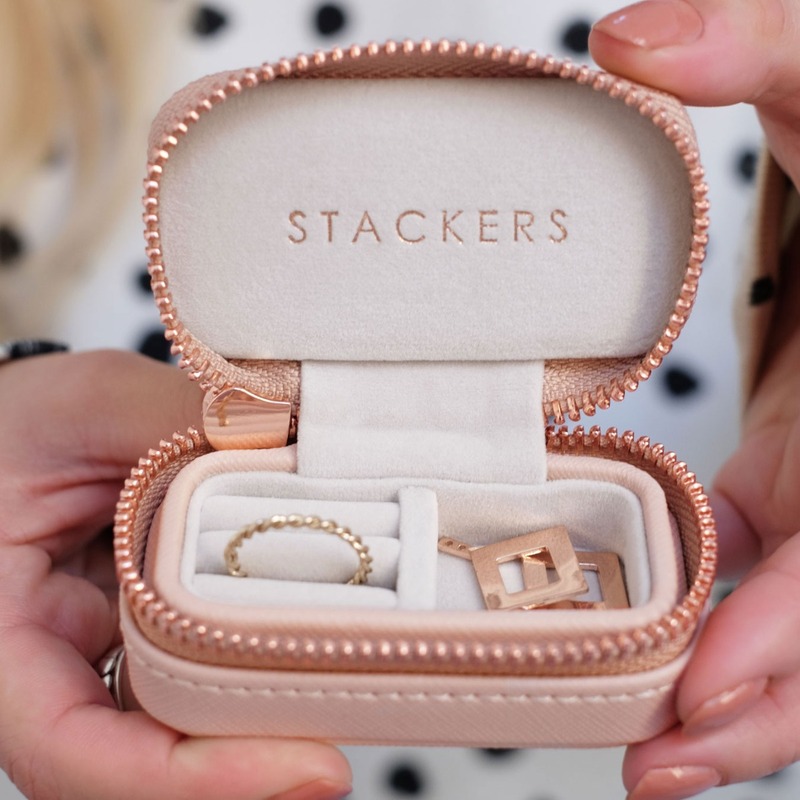 The Stackers Mini Jewellery Box Lid makes the perfect gift for your Valentine, and ideal for starting them on their Stackers journey. Plus we have half price personalisation on stackers.com this Valentine’s, for a limited time only too! 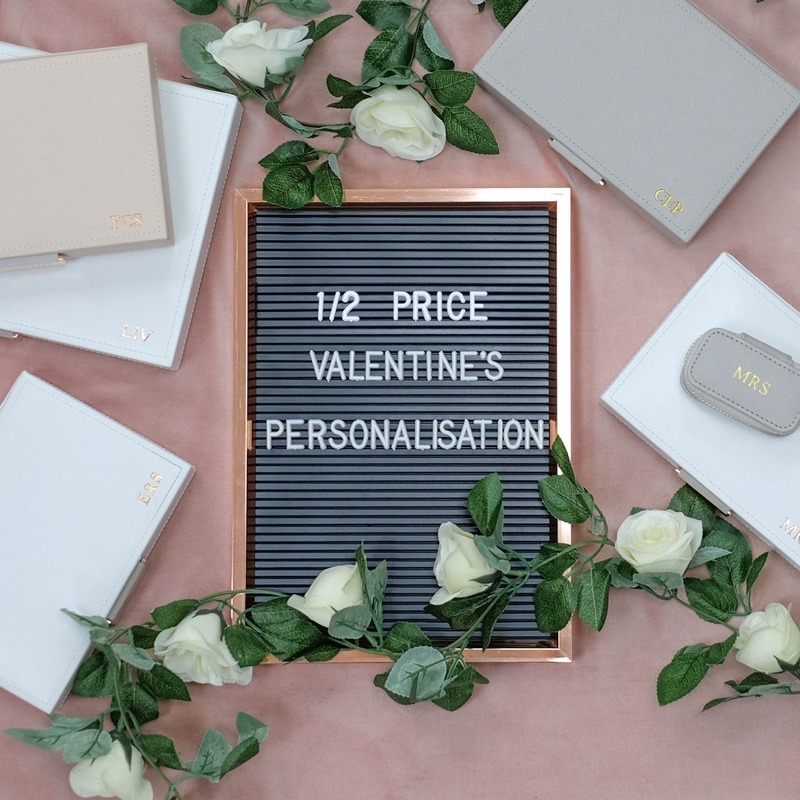 The luxury Valentine's gift set includes a deluxe leather jewellery box set, a matchcing leather travel jewellery box and a soft velvet watch/bracelet pad. The Stackers leather collection features the same revolutionary Stackers concept with an added touch of opulence, giving their fine pieces the home, they deserve. These drawer sliders are so useful. 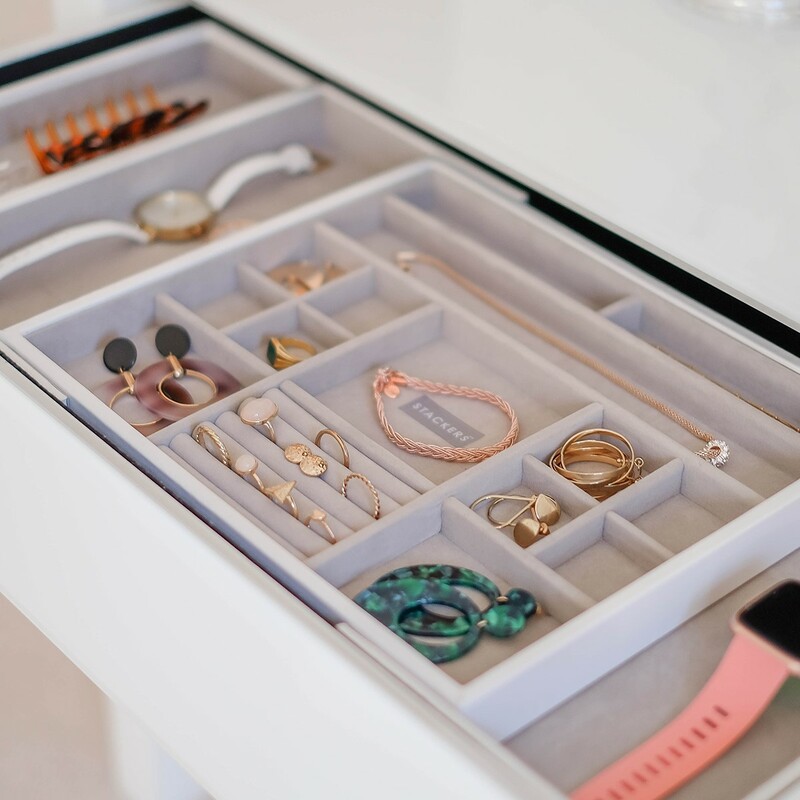 Not only could you use them to keep your jewellery beautifully organised and secure, but you could also use them to organise your belts, hair accessories or any other small accessories needing a home. Help your loved one keep their makeup beautifully organised with our stackable makeup caddy’s! The modern-day girl’s best friend! This clutch bag features a place for all the essentials, without compromising on style. Perfect for going from day to night! Men can be hard to buy for at the best times. You’ve just gotten over Christmas, used up all your best ideas and now you’re expected to buy something else? 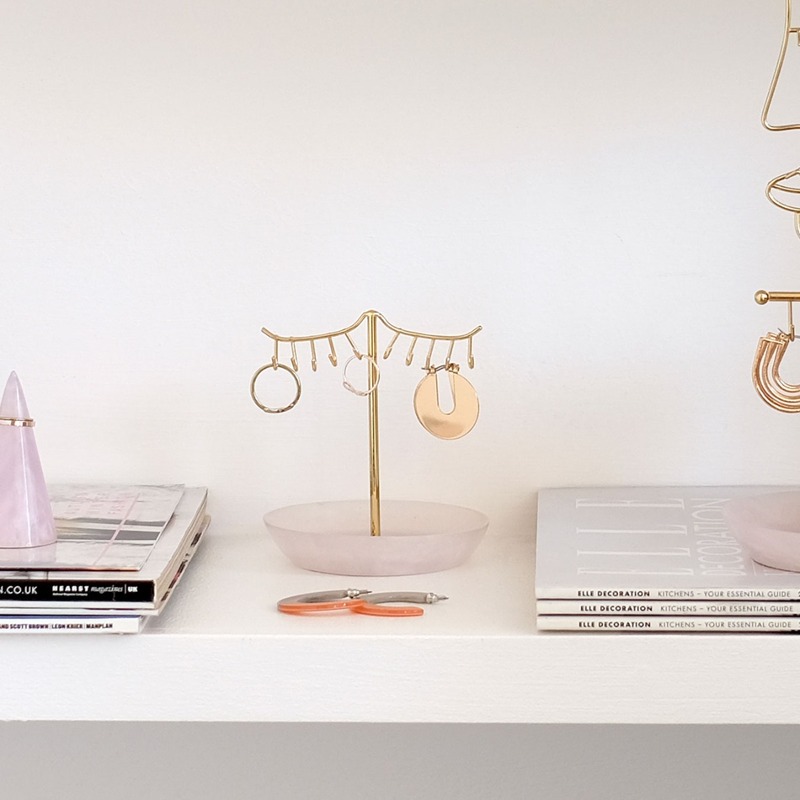 Well we’ve found some perfect gifts for the men in your life. Again, personal gifts can be just as touching for the gentleman too. 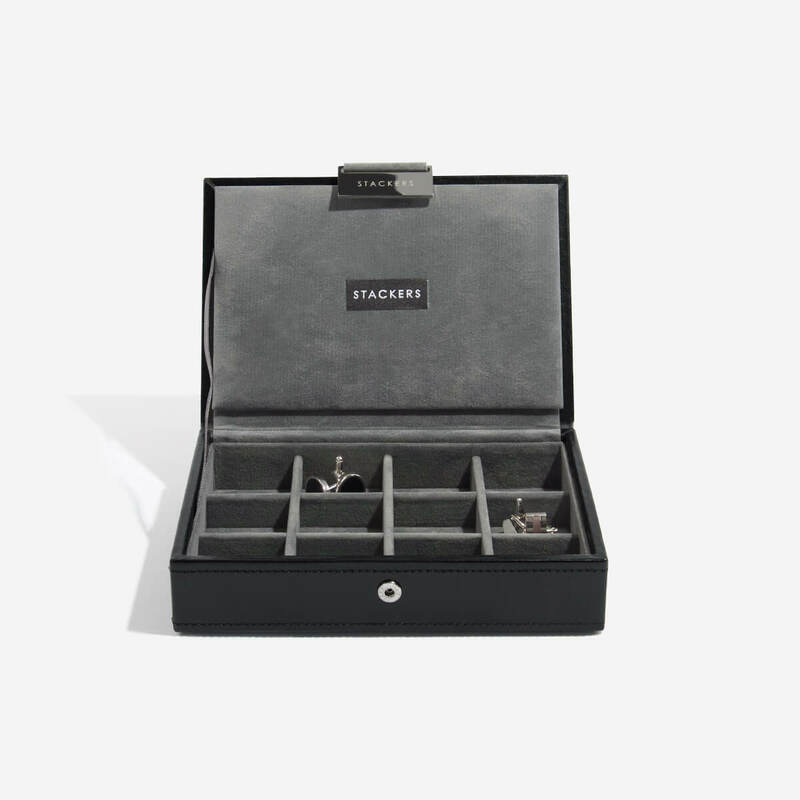 The Stackers cufflink box can be personalised with their initials in foil or blind emboss, also included in the half price personalisation offer. Why not go that one step further and get a pair of new cufflinks to put inside too! 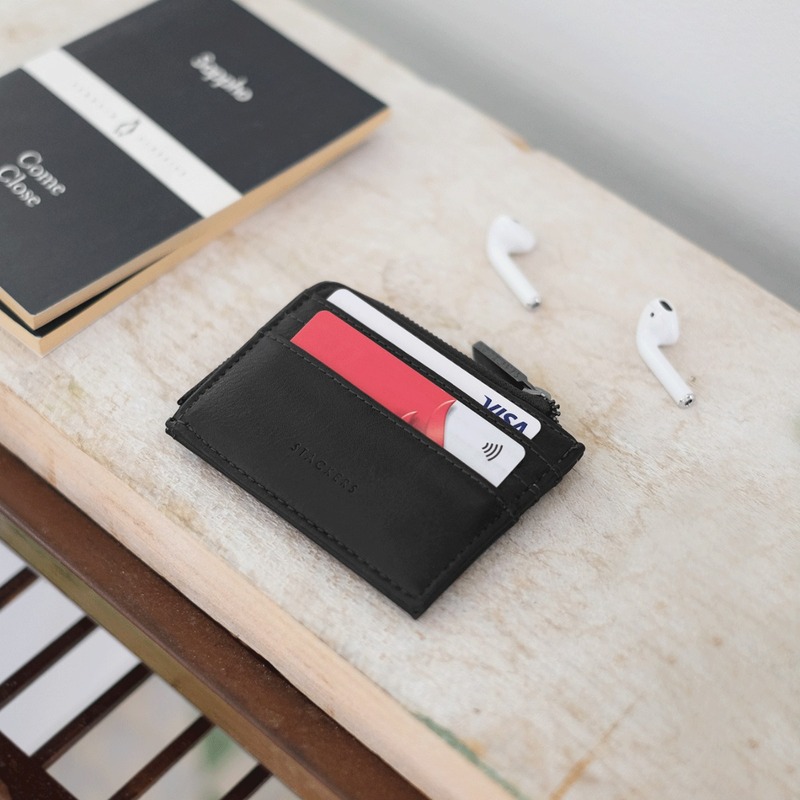 Wallets are a great go-to gift if you’re out of ideas, but have you noticed wallets are getting smaller these days? More and more people and businesses are opting to go cash-free and therefore wallets don’t need to be quite so big. Update their wallets with a smaller, sleeker version like the one below. If you’re opting for a romantic night in this year there are plenty of purse-friendly ways to celebrate. If you want to avoid the set menu’s and price rises that Valentine’s Day tends to bring, opt to eat in! Either order in your favourite takeaway or if you’re a bit of an expert in the kitchen, why not treat your loved one to a special Valentine’s Day 3 course meal! Set the table with your best crockery, candles and flowers. The effort definitely won’t go unnoticed! All the good things about going to the movies, just in the comfort of your home and minus the crowds! 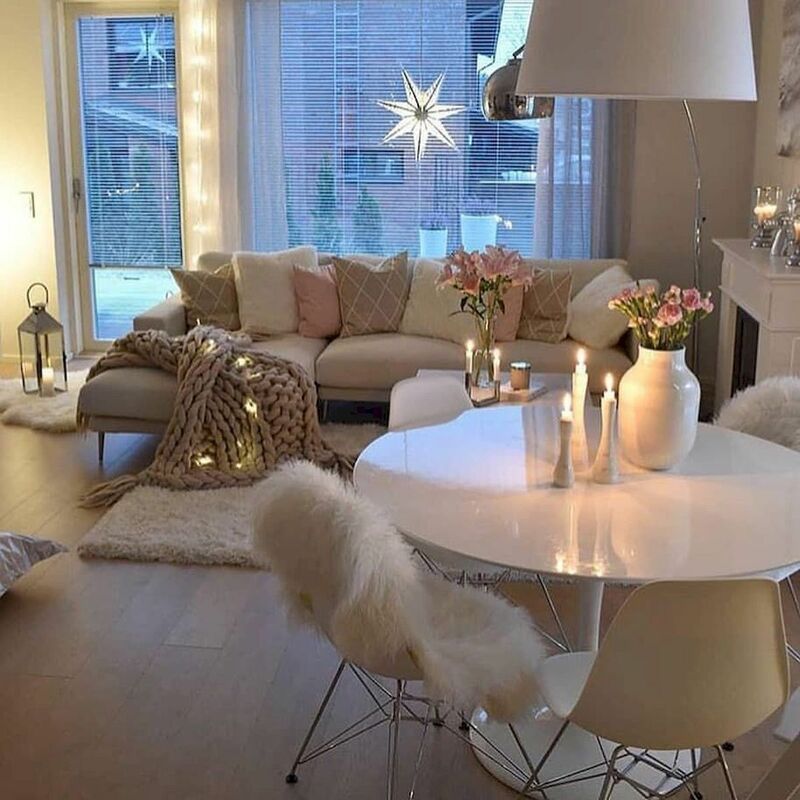 Set the mood with some candles and your favourite movie or choose one each to avoid arguments! Grab the popcorn and snacks, a blanket and a bottle of bubbly = perfect! There’s nothing nicer than totally relaxing in a hot bubble bath with candles and music. Throw in a glass of fizz, a face mask and freshly painted nails and you’re halfway to a full-on spa day! If you want to make it extra special, why not book an in-home couples’ massage! If you’re opting for a night out with your Valentine, then you need to be prepared. Often restaurants get booked up well in advance so there’s no room for last minute plans! Be organised and research well ahead, giving you time to find alternatives if your first choice is fully booked! 1. Splash out on a special meal at a fancy restaurant. 2. Go for a romantic stroll around your home town or city and watch the stars. 3. Go to a drive-in cinema. 4. See your favourite show at the theatre. 5. Try cocktail tasting at a new cocktail bar. 6. Try a comedy club for a bit of light-hearted fun! And remember Valentine's Day doesn't just have to be for couples, any of these can be just as wonderful with your bestie! Share your plans on our Insta!